ASA President Lou Schwartz and Bob Costas at Yankee Stadium. Costas, always willing to give of himself for public service, helped the ASA with its anti-drug program by agreeing to appear in a public service announcement which was filmed at the stadium back in 1990. December 13, 2017 - Bob Costas, veteran NBC announcer for nearly 40 years, was named the recipient of the 2018 Ford C. Frick Award by the National Baseball Hall of Fame. The announcement came at the annual Baseball Winter Meetings in Orlando, Fla., on December 12. Costas, who was selected over fellow national voices Buddy Blattner, Joe Buck, Dizzy Dean, Don Drysdale, Al Michaels, Joe Morgan, and Pee Wee Reese, will be honored on July 28, 2018, at the annual Hall of Fame Induction Ceremony in Cooperstown, NY. After graduating from Syracuse University’s Newhouse School of Public Communications in 1974, Costas joined KMOX Radio as the play-by-play announcer of the St. Louis Spirits of the ABA. He moved to NBC in 1980, making him the longest tenured announcer of the network. 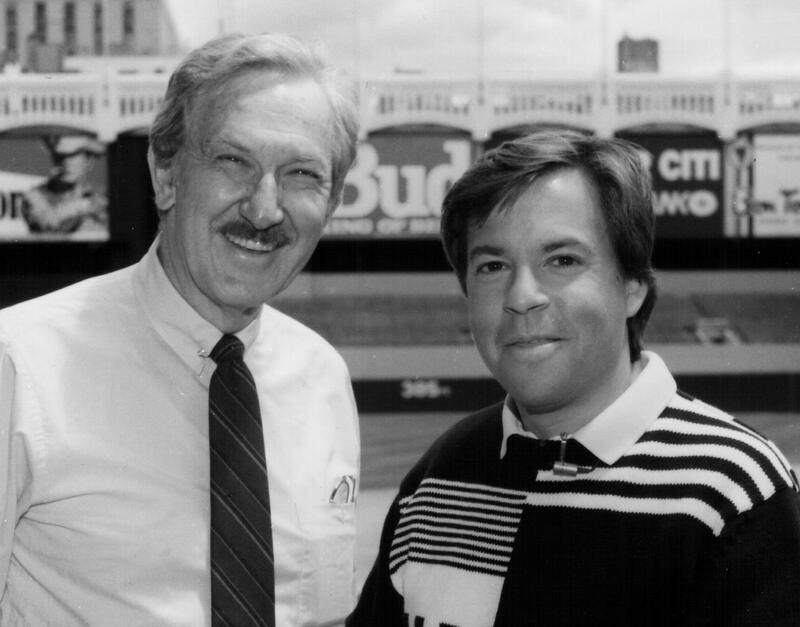 Costas began calling baseball for NBC in 1982, first with Sal Bando and then with Tony Kubek. He also worked alongside Joe Morgan and Bob Uecker. However, his love for the game began long before then. "As a little kid, when I was nine or 10 years old, I would fiddle with a radio dial and try to pick up Ernie Harwell from WJR in Detroit, or Bob Prince on KDKA in Pittsburgh or Chuck Thompson on WBAL in Baltimore, or Harry Caray and Jack Buck on a very clear night all the way from Long Island, beaming in from St. Louis on KMOX,” Costas said. "And in the early '60s, we lived for a short while in Los Angeles, and I listened then to Vin Scully on a transistor radio like millions of others." Costas’ love of baseball also led him to become one of the premiere voices on the MLB Network, which launched in 2009. Costas hosts an interview show, Studio 42 with Bob Costas,” and contributes to much of the special programming, as well as play-by-play. Aside from baseball, Costas has covered virtually every sport NBC has offered - the NFL, the NBA, the Olympics, U.S. Open Golf, the Kentucky Derby and the list goes on. A longtime ASA Advisory Board Member, Costas is a four-time winner of the ASA’s “Sportscaster of the Year” award (1989, ‘91, ‘92, ‘93). He has garnered 28 Emmy Awards and was the 1999 recipient of the Curt Gowdy Media Award from the Basketball Hall of Fame.